The D’Addario Eclipse Tuner is an affordable clip-on tuner that offers fast, accurate chromatic instrument tuning. 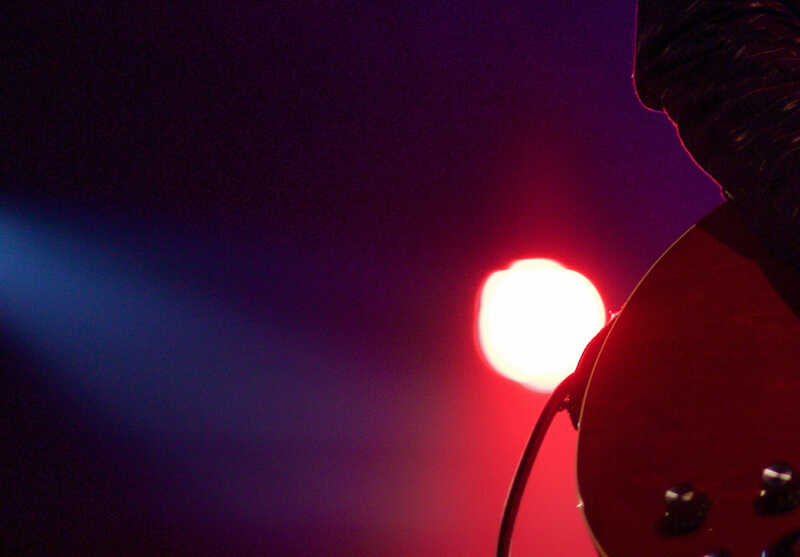 Gibson Product Design worked with D’Addario to create a discreet, compact design and intuitive tuning interface. Our clamp and multi-swivel mechanical design allows for a perfect viewing angle and can be mounted in front of or behind the headstock. 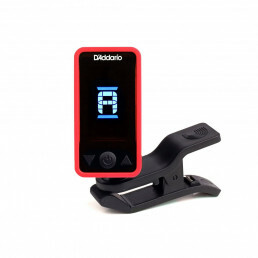 Having worked on a number of products with our friends at D’Addario, we were thrilled to engage in the design of this new and improved clip-on guitar tuner. With a focus on usability, adjustability, and a clean appearance that reflects the D’Addario brand, we explored many forms and mechanisms to enhance the tuning experience for musicians. We were also in a unique position to bring additional insights to the project as the majority of our designers are also guitar players. 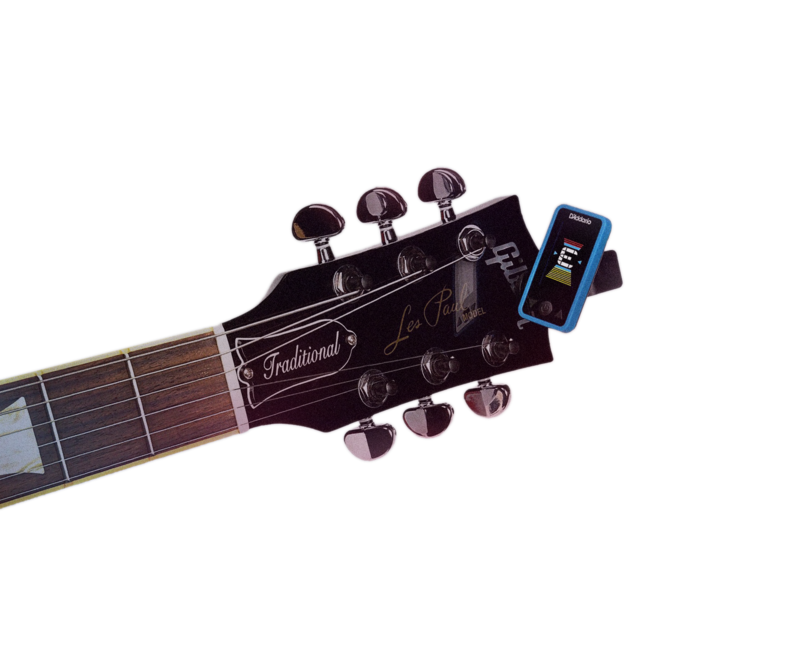 The vertical display of the tuner allows for a compact design as well as a more intuitive tuning user experience. We developed the user interface graphics with indicators above and below the target note to represent sharp (above/higher than the note) and flat (below/lower than the note). As you tune the instrument the bars get smaller representing the finer accuracy as you reach the desired pitch. After choosing a concept direction, Gibson Product Design carefully develops all of the mechanical details that allow a product to move towards manufacturing. For the Eclipse tuner, there were multiple layers of features to integrate while maintaining the design intent. Electronic integration including the PCB, button interface and LCD display needed to be detailed in the plastic housing assembly. This project required many complex mechanical design solutions such as the adaptable clamp geometry for multiple headstock thicknesses, as well as the dynamic swivel and pivot geometry that enable the tuner to be positioned perfectly or fold discreetly out of the way when not in use. Swivel and pivot designed so that the musician can always find the perfect view from any angle. 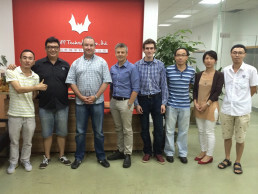 To expedite the development process through to manufacturing for this project, we traveled to China with our client to their manufacturing partner facility in Shenzhen. 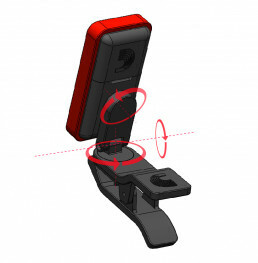 This allowed us to sit with the engineering and software teams and concurrently work through the final design details and manufacturing decisions, resulting in a more refined end result and improved time to market. 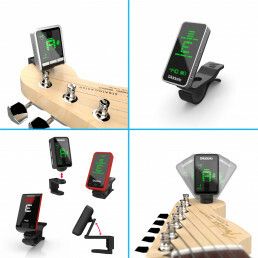 “The sleek, sophisticated design of this high-tech headstock tuner offers fast, chromatic tuning in a variety of colors for a more appealing, more accurate tuning experience.